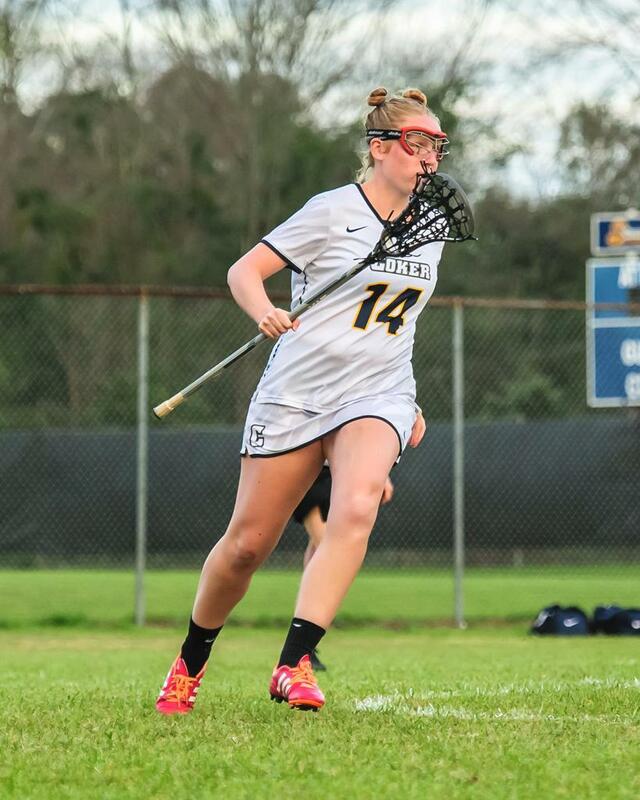 The IWLCA announced that Shelby Lindsay of the United States Military Academy, Jesse Sternberg of Coker College and Meghan Hoban of the College of Mount St. Vincent are the 2017 IWLCA Community Awareness Award Winners. The Community Awareness Award recognizes those student-athletes who have contributed significantly to their community in a given academic year. These students have given their time and energy to support and develop athlete-community relations and have distinguished themselves from their peers. The honorees will be recognized at the 2017 IWLCA All-American Banquet held on June 3, at the Hunt Valley Inn in Hunt Valley, Maryland. 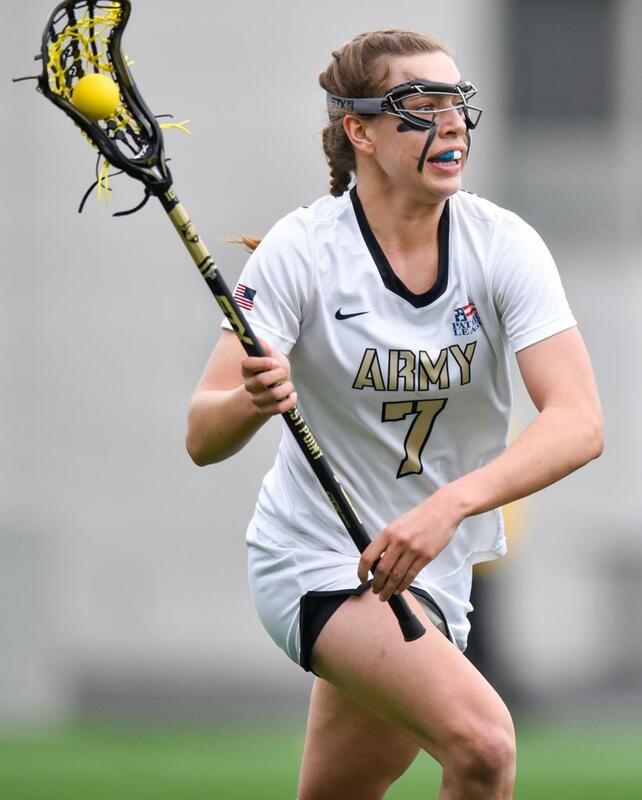 This past winter, senior Shelby Lindsay organized a Unified Sports Family Members Program experience with the Army Women's Lacrosse team. During this 2-hour clinic, Lindsay and her 33 teammates mentored 25 local special needs children, teaching them lessons not only in lacrosse but the importance of attitude, communication and effort. This spring, Lindsay aided a fellow cadet in organizing a Youth Impact Group event in which her company-mates at the Academy interact and mentor inner city youth from the Bronx, NY. For the past two years, Shelby has coordinated cadet trips to New York City to aid in "Homes for the Homeless," a non-profit organization that helps to create lasting solutions for families experiencing homelessness. In the summer before her senior year, Lindsay traveled to Ghana for 7.5 weeks to teach in the Foundation for Educational Development and Economic Promotion (FEDEP) school district. She lived and worked in a school house of 60 kids every day. Additionally, while there, she began to literally build the foundation of the future library through manual labor. When she returned from her service trip to Ghana, she founded the "New Chapters" group last fall to collect and send shipments of books and resources back to Ghana to be housed in the library that she helped build. Lindsay has already sent her first shipment of 100 books and is utilizing her parents’ basement to house the next shipment. Lindsay, who served as Army's co-captain for the past two seasons, is the Community Service Officer of Company A-2 and will branch into the Engineers Corps upon her graduation and commission as a second lieutenant in the U.S. Army. Academically, Lindsay ranks 72nd in her class and is a member of the Dean's List, earning the Superintendent's Award for Excellence for ranking in the top 5% of her class. Lindsay is a member of the Pi Mu Epsilon honor society, is an active member of the Society of Women's Engineers at West Point, and dons a German Proficiency badge. Jesse Sternberg is heavily involved in community service activities on the Coker campus, and in the surrounding Hartsville, SC community. Her campus activities included “Ubuntu Blocks,” an attempt to reduce the amount of plastic bottles, Styrofoam, and plastic bags in landfills. The group she worked with created a wooden press to form the recyclables into blocks that will be used to build housing for the homeless. Sternberg, a senior defender, organized a fundraiser for Cystic Fibrosis research in honor of her cousin. She also worked with her teammates to re-decorate local elementary school classrooms for the annual MLK Day of Service. Sternberg’s off-campus activities include the Lunch Buddies program, where she visited local elementary schools to eat lunch with children and interact with them in small groups. She also worked with Carolina’s Kids, an organization that provides bagged lunches for low-income children who cannot afford meals on the weekend. Sternberg initiated “Kids Can,” an internal project at Carolina’s Kids to provide healthier food options in the bagged lunches and promote an active and healthy lifestyle. Meghan Hoban made an immediate impact on her community by getting involved in several activities on and off campus. Throughout the fall, Hoban was a regular participant in the “Family Club,” a joint tutoring program for children and adults – children receive tutoring for their homework, while adults are mentored in life skills – run through Part of the Solution (POTS), an organization in the Bronx dedicated to helping low-income individuals and families. She also volunteered for multiple shifts with the POTS Soup Kitchen as a server. Hoban also worked with a local after-school assistance program to establish a co-ed lacrosse camp for low-income inner city students to expose them to the sport. Other service activities near the CMSV campus included a stint painting houses for Habitat for Humanity, visiting veterans at the Bronx Veterans Affairs facility, and volunteering with St. Margaret of Cortona School aftercare program. 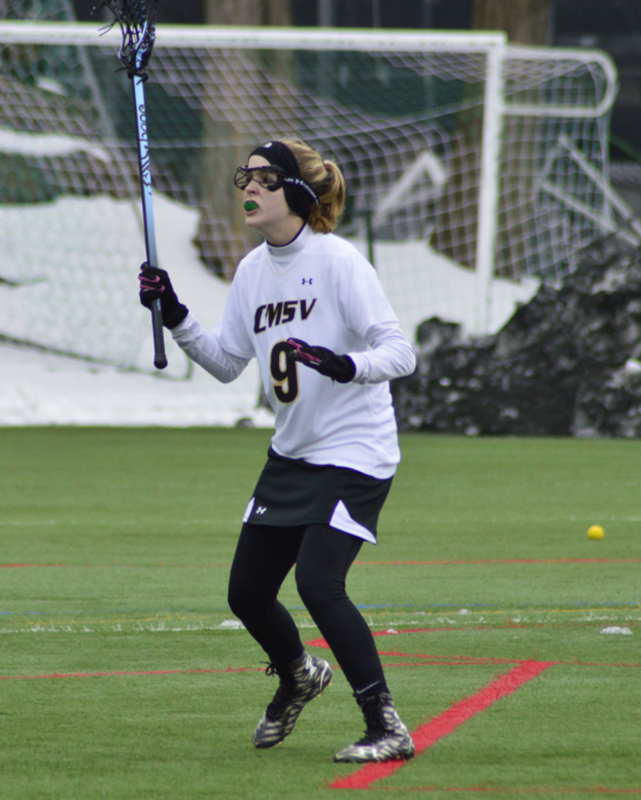 The freshman defender also served as CMSV Relay for Life President. Her family was affected by cancer her junior year of high school when her mom passed away from pancreatic cancer. She set up a Relay for Life Campaign at CMSV and raised over $6,000 for cancer research. Hoban also remained active in her hometown of Clinton, NJ, volunteering as a server for a Pancake Breakfast at her local church during winter break. She was named to the Athletic Director’s academic honor roll after the fall semester.